Prominent & Leading Manufacturer from Nagpur, we offer instrumentation cable, electrical and instruments cables, data instrumentation cables, electronics instrumentation cables, screened instrumentation cables and control instrument cables. We are actively engaged in offering a supreme quality Instrumentation Cable. Use in used in coastal due to its rust proof nature, the offered instrument cable is checked in terms of quality so as to deliver a flawless range. This instrument cable is manufactured with superior quality material and progressive technology in adherence to the quality norms. Also, the offered instrument cable is widely acknowledged for its optimum finish among our customers. 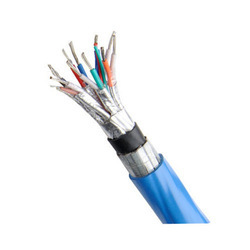 Electrical And Instruments Cables: We are a prominent manufacturer and supplier of high quality cables procured from reputed manufacturers in India. Our range includes General Cables & Flexible Cords - PVC insulated Wiring Cables for Domestic Wiring, domestic appliances. Elastomer Insulated Flexible Cords. PVC Insulated Flexible Cords (light duty). Elastomer insulated Heavy Duty Flexible cables. Further, we also offer Welding cables both Copper and Aluminium conductors, Cables in flat formation & Winding Wires for Submersible Pumps, Cables for Chemical and Petroleum Plants. 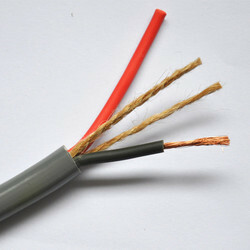 CSP Insulated Flexible for coil leads, vehicle wiring and other High Temperature applications, High Temperature Cables - Butyl Rubber, EPR, EVA, Varnished, Cambric, Class Fibre and Asbestos insulated sheathed and, CSP, Nitrile Rubber, EVA sheathed for Furnace and for High Temperature applications. Fire Retardant Low Smoke Cables (FRLS) - Fire Retardant cables with low emission of smoke and toxic fumes both for Power & Control applications. Cable trays and electrical Junction boxes available in various sizes. 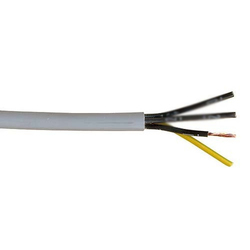 We offer high quality DI cables that are constructed with Tinned Copper conductor & PVC Insulation with individual & overall shielding and drain. These are available in full range of sizes, insulation options and shield types for special installations. These are also available for providing mechanical protection. We are making pair/Tried/Individual and over all Alluminium polyester tape and ATC drain wire/Tin copper briding armoured/unarmoured cables. These Cables ensure smooth Communication of Low Level Signal from Electronics transmitters to the Control Room High Quality Instrumentation Cables. We offer Control Instrument Cables to our clients. We offer Multi Core Instrument Cables to our clients.